Since 1996 we work in the Humpback Whale (Megaptera novaeangliae) in Banderas Bay Photoidentification Project, known as FIBB Catalog. 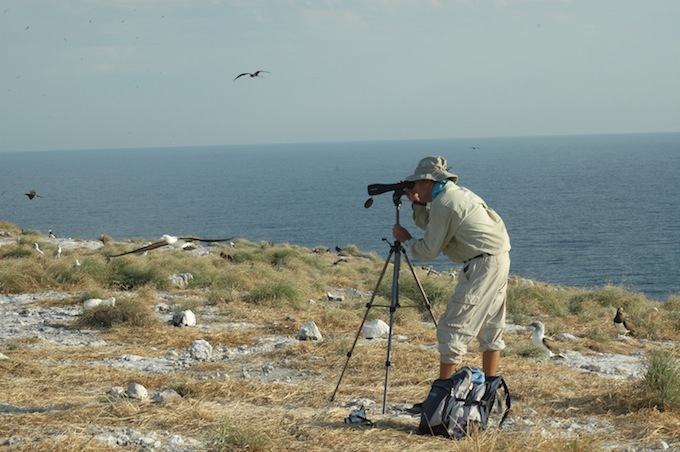 Until 2012-2013 whale season the catalog has 1,967 different individuals photoidentified and a database of 5,888 records. Currently we are working on 2014, 2015 y 2016 seasons. 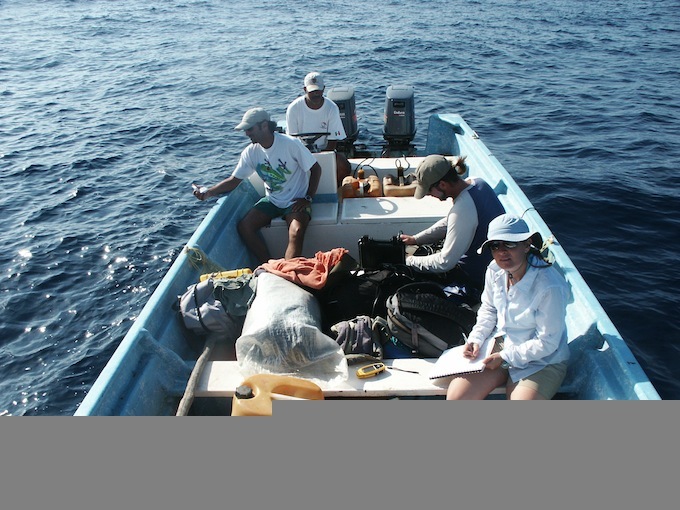 In 2006 we started the Humpback Whale in Isabel Island National Park, Nayarit, Photoidentification Project. The results of our research are supporting the initiative of the Mexican National Park System (CONANP) to establish a protected maritime area of 5 to 10 km around the National Park. . In the near future we expect to compare the behavior of the humpback whales around Isabel Island, an area almost free from navigation, with the behavior of humpback whales in Banderas Bay, to see the possible effect of vessels on whales´ behavior. We are also trying to establish the abundance of humpbacks that arrive or pass by this area. In 2009 we collaborated with the Mexican National Park System (CONANP) Action Plan for the Conservation of Species: Humpback whale. 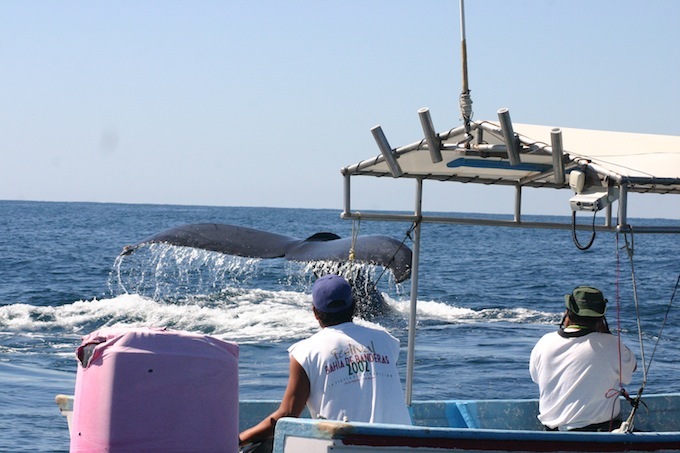 In 2011 we work together with the University of Baja California Sur (UABCS) in the Regional Protection Program for Humpback Whales in Los Cabos, NCS and Banderas, Bay, Guayabitos and San Blas (Jalisco and Nayarit). This program was sponsored by CONANP. In 2004, 2005 and 2006 we participated with the international research project SPLASH (Structure of Populations, Levels of Abundance and Status of Humpback Whales in the North Pacific), and with the NOPP OBIS SEA MAP (Maping and Distribution of the Humpback Whales in the North Pacific). We also colaborate on the Humpback Whale National Catalog with the National University of Mexico, UNAM and the Autonomous University of Baja California Sur, UABCS. We participate in the Bottlenose dolphin (Tursiops truncatus) identification project of the Technological Institute of Banderas Bay and with Olive Ridley (Lepidochelys olivacea) protection and conservation projects in Jalisco and Nayarit.